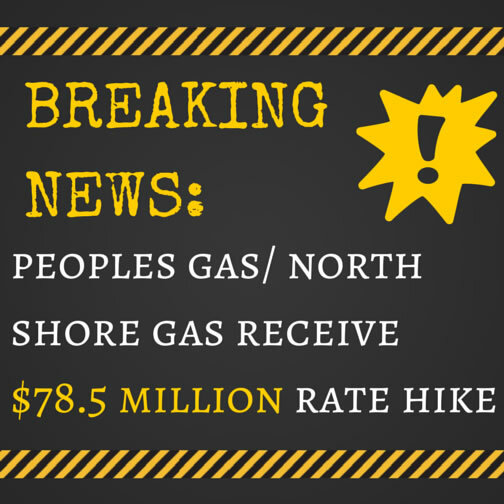 The Illinois Commerce Commission (ICC) Wednesday granted Peoples Gas and North Shore Gas a $78.5 million increase in delivery rates ($74.8 million for Peoples Gas, $3.7 million for North Shore Gas, according to ICC figures). We’re glad the ICC slashed the companies’ initial rate requests by more than $50 million, but we still think the increase is too high. 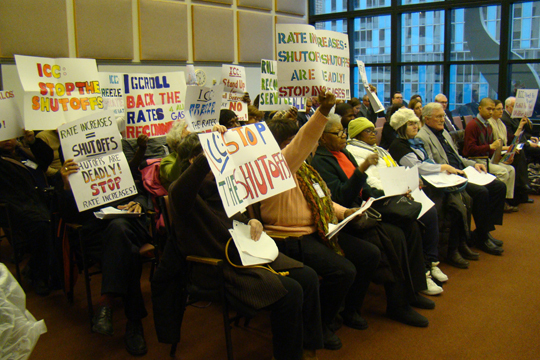 After all, Peoples and North Shore have received more than $250 million in rate hikes since 2008 and their parent company raked in more than $240 million in profits in just three quarters of 2014! Chicago consumers deserve a break. 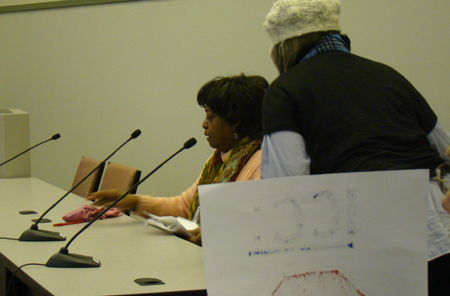 Perhaps the most emotional testimony came from Mary Bailey of Chicago, a Peoples customer for more than 30 years whose gas was shut off last year when she couldn’t afford her bill. She finally negotiated a payment plan with Peoples and had service restored yesterday. But after the frigid cold in the beginning of the month, her pipes and radiators had burst, she said, causing thousands of dollars worth of damage. The rate hike affects the “delivery” portion of your bill, which is what companies charge to deliver gas to homes. These charges take up about a third to a half of a gas bill. While heating bills vary based on how much gas you use, the ICC estimated that an average Peoples Gas customer, using about 1,000 therms of gas a year, could pay approximately $2.70 to $2.75 more per month. North Shore customers using approximately 1,200 therms of natural gas a year for heating could pay about $1.05 to $1.10 more per month. CUB plans to file a petition for rehearing to challenge parts of the rate hike. Stay tuned to find out how you can help!